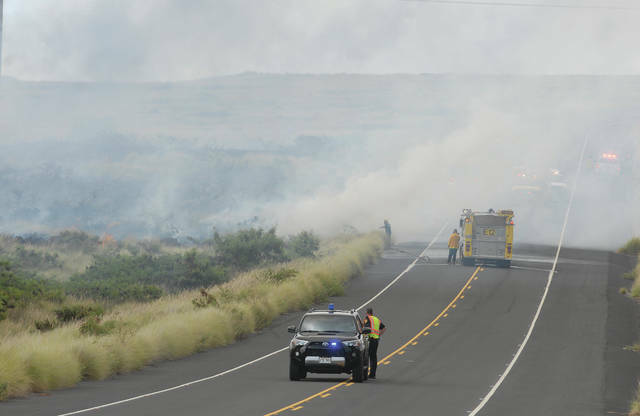 The fire, reported around 1:45 p.m., is burning vacant land north of Kaiminani Drive and makai of Ane Keohokalole Highway. As of 3:20 p.m., fire officials said 80-100 acres had been burned and was not under control. Hawaii Community College — Palamanui officials said the campus was evacuated about 3 p.m. All afternoon and evening classes have been canceled.